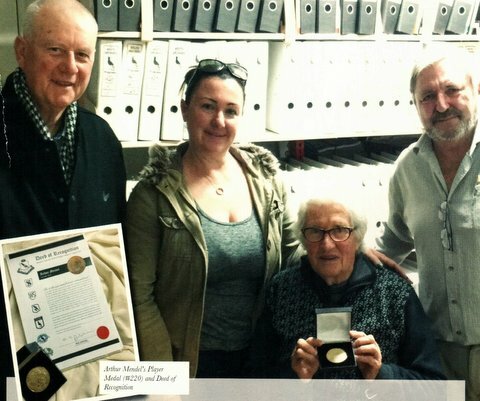 A story about some of the great things the Wests Archives Team are doing. 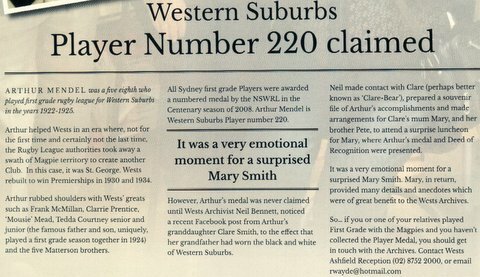 Read how with some Detective work Mary Smith received her dads Wests players Medal. Rick Wayde, Clare Smith, Mary Smith and Wests Archivist Neil Bennett. 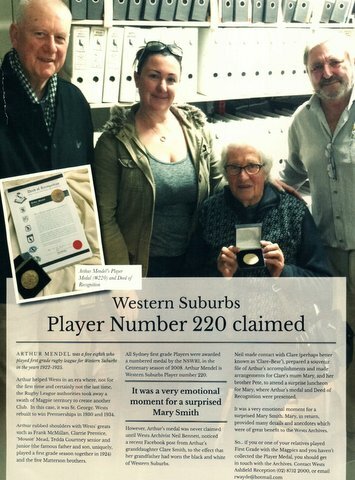 So remember if you or one of your relatives played First Grade with the Magpies and haven’t collected the Player Medal, you should get in touch with the Wests Archives.